This sugar free syrup recipe is a weekly staple in my kitchen. 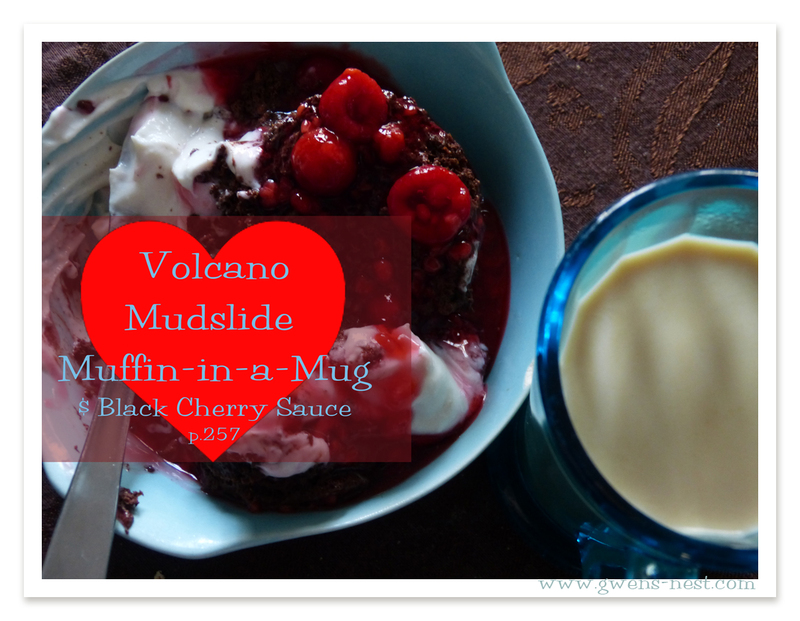 This completely guilt-free sweet, tangy, berry goodness tops my Greek yogurt snacks; my pancakes; my lovely muffin creations from the recipes in Trim Healthy Mama (book review here). And it does not stick to the muffin tops, if you get my drift. It’s super-quick to whip up a whole jar-ful l, which we plow through in a week or less. 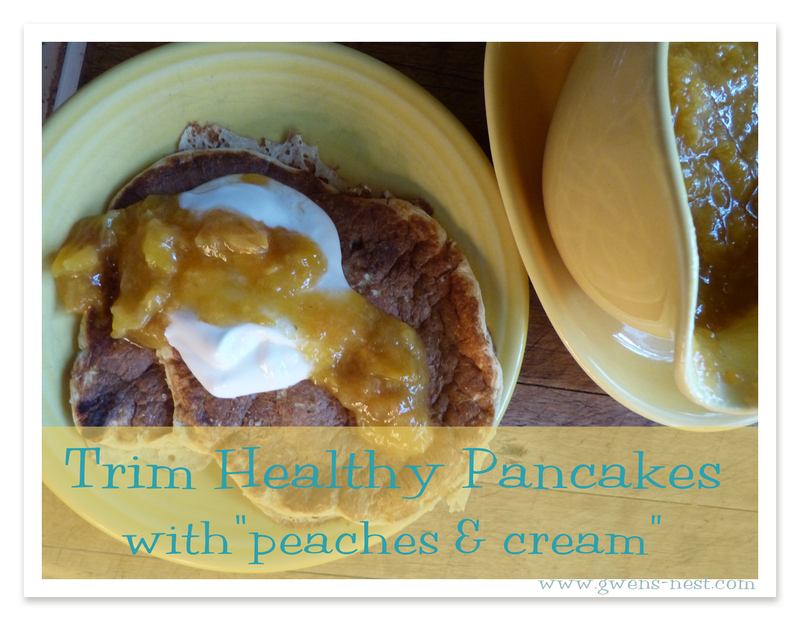 I’ve even made peach, which is a bit higher carb, but delicious on my E pancakes. This is a batch of strawberry-blackberry I’m starting on. This one is mixed berry…just the blend from Aldis. It’s my current favorite. I use one full 14 ounce bag, or about 2 cups of frozen berries for the syrup. Add these to your saucepan, and cover with 2 cups of water. Put your pan on the stove, and turn the heat on medium low. Now, I’m gonna use 2 ingredients in this that you may not have, but you can sub with whatever you’ve got. The first is this little shaker jar of NuNaturals brand pure Stevia Extract. There are, that I know of, 3 brands of stevia extract that don’t taste like licking freshly sprayed chem-lawn. This is one of them. You only need a teensy-tiny amount. 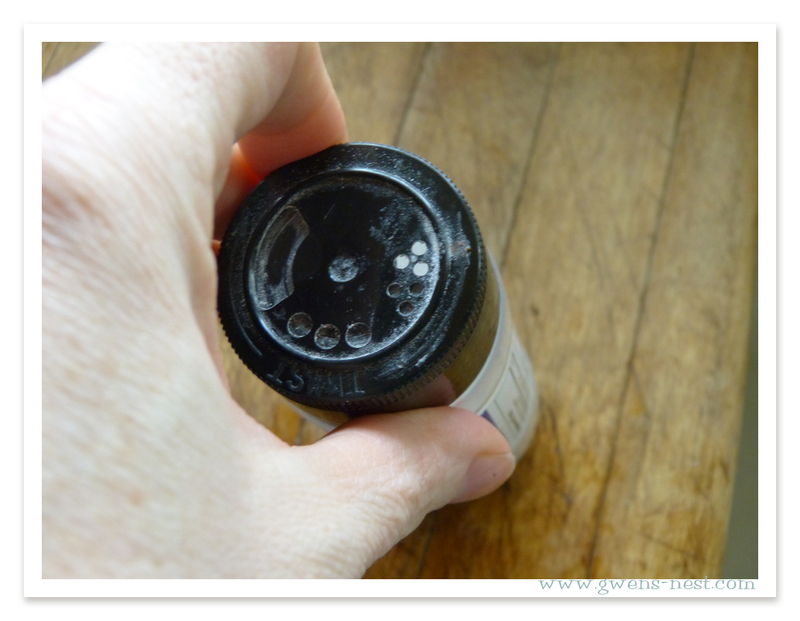 SO tiny, in fact, that I pretty much just leave my bottle with only the 3 smallest holes open. And when I say tiny, I mean the finest dusting of micro-fine powder will do-ya. I use about 5 shakes, and then stir and taste until I achieve a decent sweetness. If you’ve not cooked with stevia before, it’s a different type of sweet from sugar…a gentle sweet. More is not better with here. Getting too much gets you into the bitter-aftertaste-ish zone, and we don’t wanna go there. If you don’t have any of this, then feel free to sub your favorite sweetener option. You’ll be able to just use it ‘to taste’ and please do feel free to sneak a taste to make sure it’s just right. Now we come to the second weird ingredient. I found out about this amazing stuff from the book Trim Healthy Mama that is mentioned & linked above. It’s a thickener made from a starchy root, but it’s low carb, high fiber, and tasteless. You only use a very small amount to achieve a great, clingy-syrup-like consistency. Xanthan gum is a good sub, but I’m not sure how much you’d want to use. 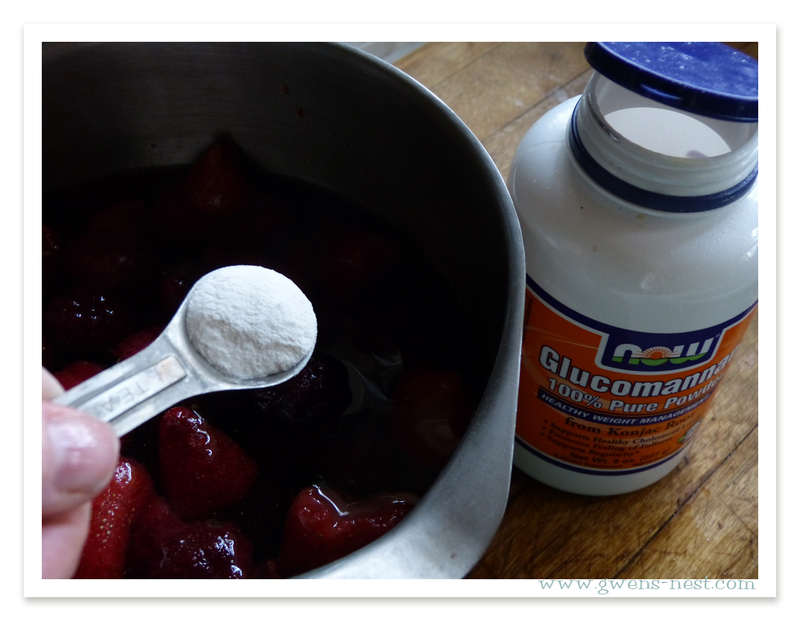 I use 1/2 teaspoon, and *don’t* just dump it in there…gluccomannan is kind of an odd deal, in that it IMMEDIATELY expands and gels when it hits liquid. And forms not-so-delicious gel-blumps. shake it and dust it over the water,,,just like this. 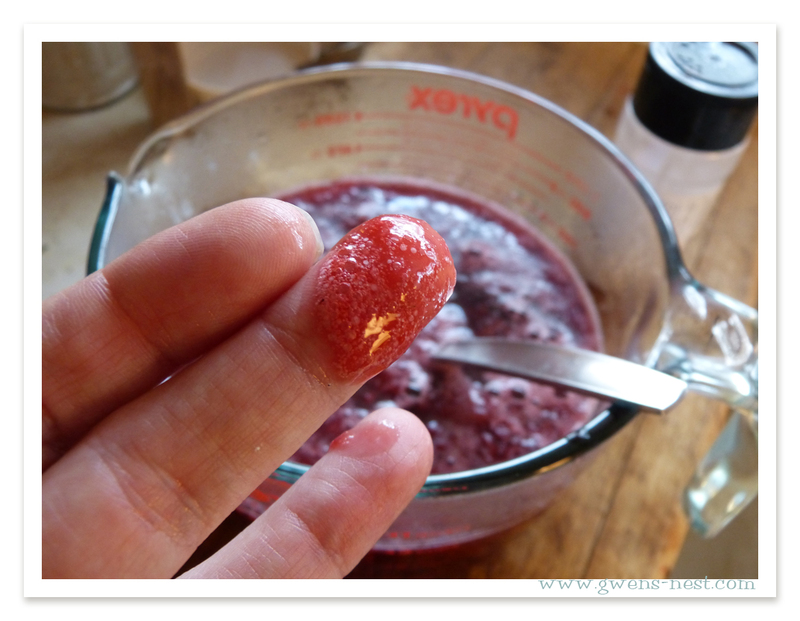 So unless you enjoy gel-balls (and I don’t), gently sprinkle your gluccomannan over the berries while stirring. You’ll notice when it hits the water, it absorbs in and spreads out. Keep it in a fine sifted dusting, and you’ll not have any issue with clumps. Add a small pinch of salt to wake up all that lovely flavor. And by pinch, I mean less than 1/8th of a teaspoon. Stir, taste, and adjust your sweetness. Please don’t skip the salt. I know it sounds weird, but it gives more of a depth of flavor to wake up the sweetness of the stevia. 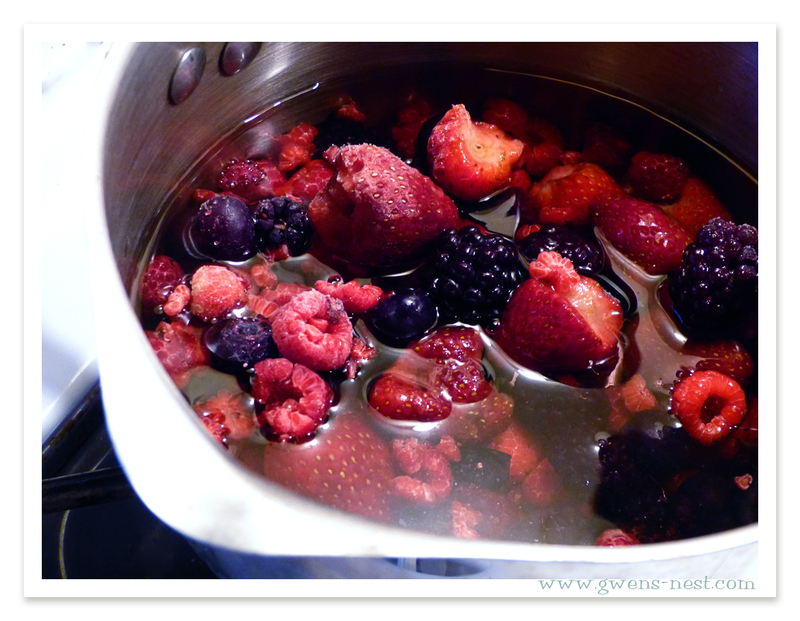 I really like a couple of drops of lemon essential oil in the mixed berry, to give it some zing. Or you can use a couple teaspoons of fresh lemon juice to get the same effect. Or this. Depending on whether I’m in a power tool mood or not. 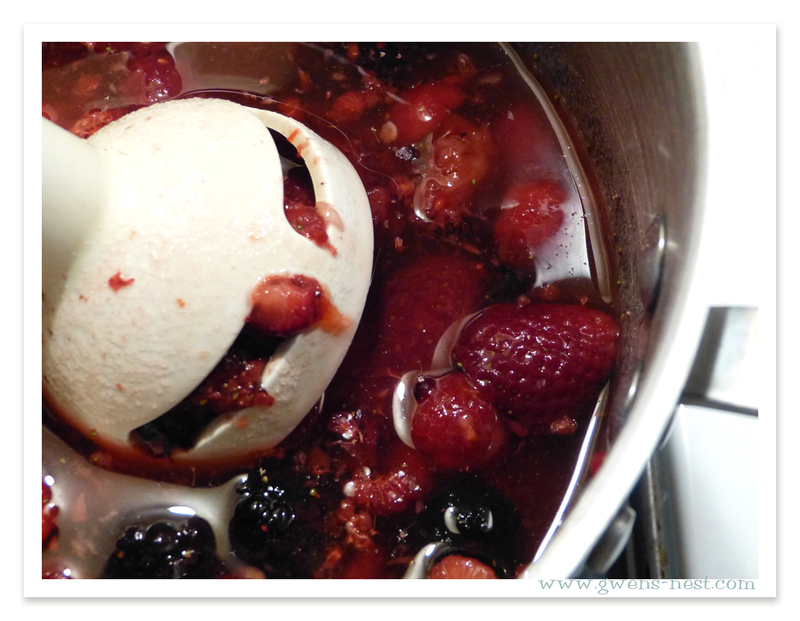 I scooted the big berries underneath the immersion blender and gave them a good whirring. I kinda like most of the smaller berries being whole. But if you’re not a whole-berry loving person, or if you accidentally dumped in your gluccomannan all at once, and have a gel blob problem on your hands, then feel free to whir it like you mean it. It’ll still taste JUST as good! I just heat and stir until it gets thick and a little bubbly…for a couple of minutes over medium low heat. Then let it cool down a bit. It’ll thicken up more as it cools down. See how yummy and perfectly thick this is! Then I pour it into a 3 cup canning jar, and into the fridge it goes. Now, if you make a big jar of berry sugar free syrup, then you’re going to need a lovely quick pancake to go with it. And butter. I’ll tell you more about that next. 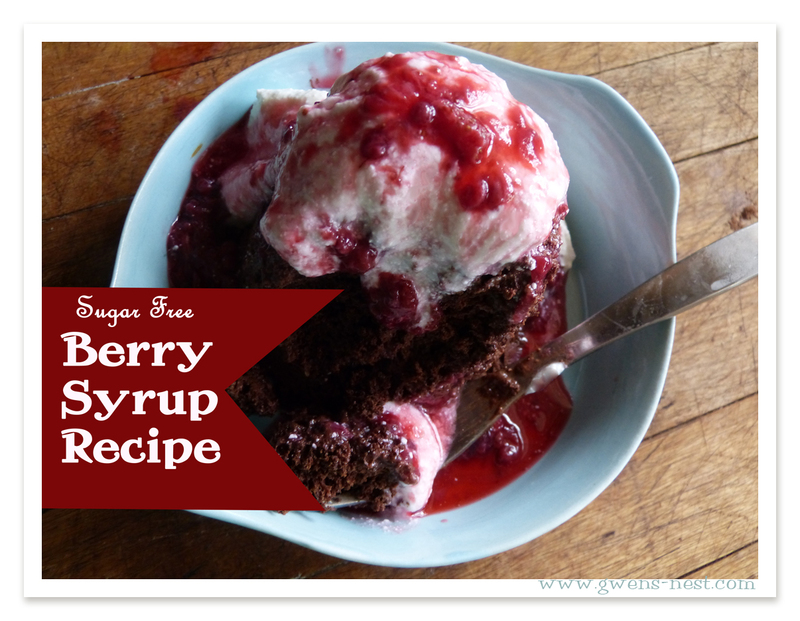 Here is your printable for this fabulous sugar free syrup recipe! This is a delicious sugar free syrup made with frozen or fresh berries, your favorite sweetener, and your favorite thickener. Feel free to sub out ingredients if you don't have the ones I do. 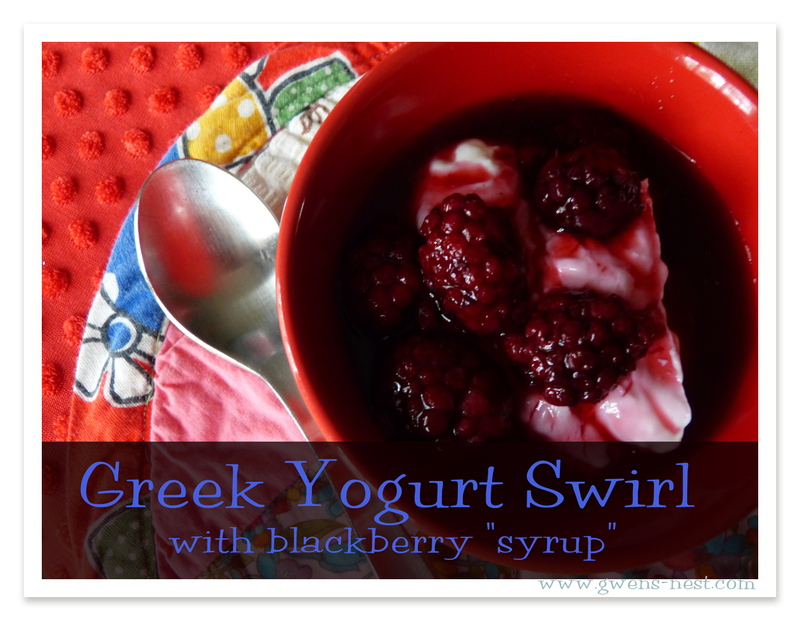 Enjoy this totally guilt free on your pancakes, to sweeten plain yogurt, or as a delicious ice cream topping! 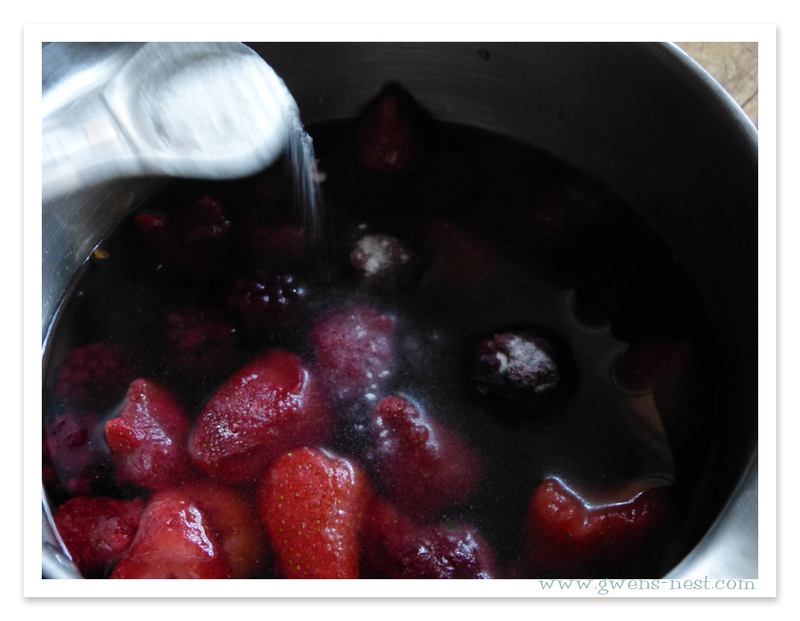 Pour berries and water into a medium saucepan, over medium low heat. Add your sweetener to taste. Gently shake the ½ t. of gluccomannan over the surface of the water, while stirring to blend. It will spread, but you don't want any clumps. Add in a pinch of salt, and any other optional ingredients. Taste and adjust the sweetness/flavor. Mash larger berries if desired. Heat until thickened and bubbly. Pour into a jar and keep in the fridge. This keeps for a week in the fridge, but if you think you'll use less than 3 cups in that time, then just halve the recipe. Some of our favorite flavors have been: raspberry, mixed berry, strawberry, blackberry, and combinations of the above (like blackberry/strawberry) Trim Healthy Mama Notes: This is a Fuel Pull recipe if made with berries, so it can be enjoyed with any other type of food! The only caveat is with blueberries...you'd want to keep your portion below ¼ of berries to stay in FP mode. I avoid this by choosing mixed berries. 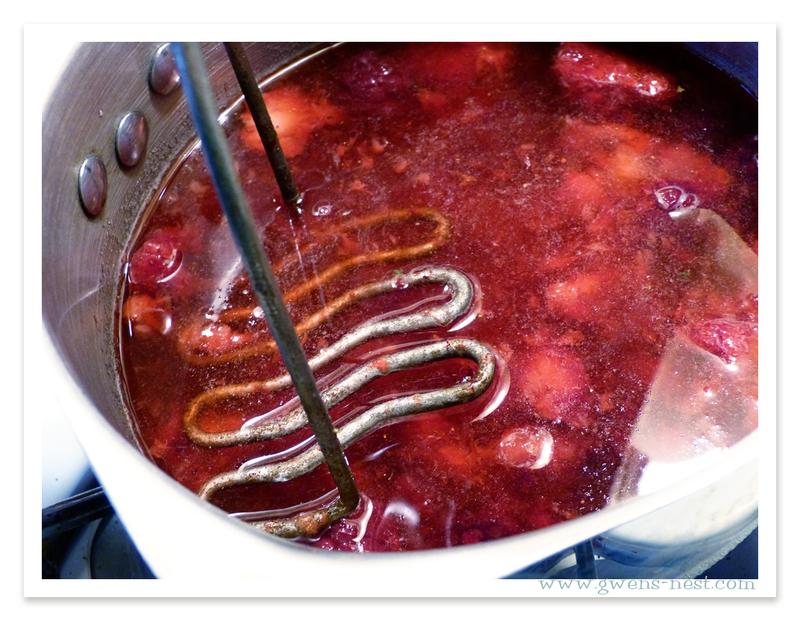 You can also make a delicious E peach syrup, to enjoy with your Energizing meals. I can hardly wait to go buy berries! My imagination is soaring with ideas of how to use this. Yum! 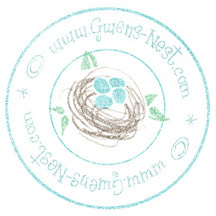 I love your blog Gwen!!! 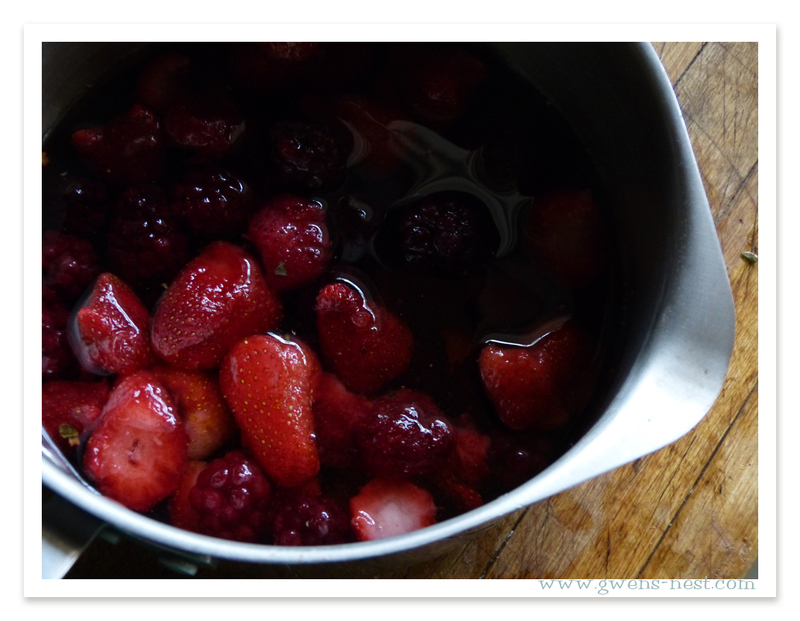 I’m going to make some of this with my blackberries and strawberries! Yum! Sounds so good! Strawberries are about to come in season here…can’t wait! I am still pretty new at THM and have found your site so helpful. The THM guide you put together really simplified the plan. Having good and healthy desserts is a game changer for me. Thank you! I am addicted to this syrup! Thanks for sharing the recipe. Have you tried freezing it? Hi Amy…thank you! We love it too. Freezing will mess up the thickener, so I just make it weekly and use it up. One friend has mentioned that she boils the syrup, pours it into canning jars, and screws the lid on…and it seals. She then keeps it in the fridge for several weeks. It does need cold storage, but the air doesn’t get to it, so it keeps much longer. That’s exactly what I was wondering about. Thanks! I am making it now and it is really good….It definitely tastes better with the essential oil in it than without!! But I would recommend a therapeutic quality essential oil..the NOW brand isn’t really for ingesting. I am not an expert, but I am a naturopath in training and would not recommend ingesting a lower quality essential oil. now hearing from others, the NOW may be ok to ingest…sorry about that. No problem…there is a lot of word of mouth information on oils that’s probably done from a really genuine enthusiasm for other good essential oil companies, and out of concern to keep people from eating lower quality essential oils. It’s a really fun topic to research, so you’re sure to get a good quality oil. The NOW brand oils are top quality…I researched prior to using them and before recommending them to others. I only use oils that are from food products, like orange, lemon, peppermint, etc…even from pricier companies. 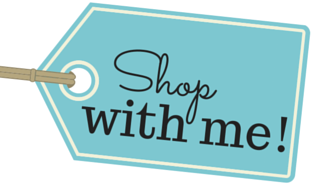 I was thrilled to discover that they have such stringent testing and high quality, as their prices are fantastic. I’ve used their oils for years. I have an unhealthy obsession with pancakes and strawberry syrup. 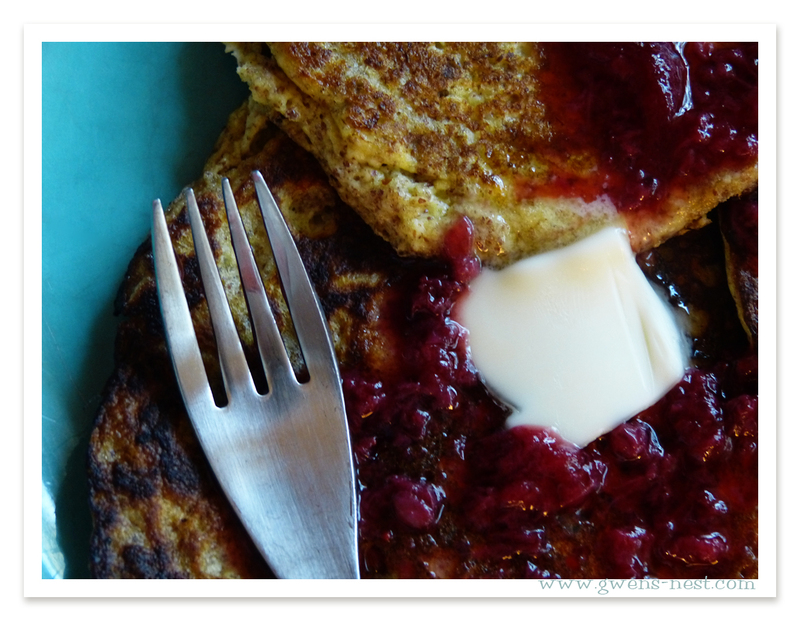 Pinned this recipe and the low carb pancakes. I’ll have to find/buy the thickener but good investment for a healthier meal. I think there are just slight differences in the final texture. I’ve just gotten used to glucomannan, and really enjoy it. I’ve not tried Xanthan, but it’s also a great option, and can be subbed for gluccie 1:1. I used to use Xanthum gum. For one I don’t think it’s as healthy (also comes from soy, wheat, or corn). But being low carb there are few things that can be used. The real kicker is rather then thickening stuff it would turn it… well slimy. Not the right texture. Guar gum and ground flax tend to have the same texture. Gluccomannan on the other hand thickens similar to corn starch. By the way, here’s the post I found on Bob’s Red Mill on Guar Gum vs. Xanthan Gum. http://blog.bobsredmill.com/gluten-free/guar-gum-vs-xanthan-gum/. There are some measurements included for using Guar Gum in hot and cold recipes, but apparently Guar Gum is not necessarily suitable for recipes with a high acid content (berries??) since the acid interferes with the gum’s thickening properties. Wow, this is all so interesting! Has anyone tried canning it? I’ve got some wild blackberries and thought I’d do the first half of the recipe, then strain out seeds, bring it back to boil, add gluccie and go from there. If anyone’s done it, let me know! I want to do all our fruits this fall canned sugar-free! Ever accidentally read “2 tsp” when the recipe calls for 1/2 tsp? Did that today on the glucci. Man. Can you say “strawberry glop?” Ha ha. Didn’t taste bad, just real gelatinous. Thanks so much for this recipe and so many other great ones! Hi there! Just started looking at your site and this looks wonderful. My question is about the sugar content… Is it considered sugar-free because of no additional sugar, or does something happen in the cooking process that rids the berries of their natural sugars? I know it is probably right in front of me, and the recipe is referenced w/FP links, so…is this an FP recipe or an E recipe Gwen? It depends on what you use in the syrup. Blueberry or peach are going to put you into E mode if you use a lot of it. 🙂 But if you use just berries then it’s FP! What’s your go to sweetener for this? I’m still new at using the various sweeteners and am a little nervous about having a bitter outcome. Thanks! Sorry, maybe I should actually READ the post :o) I mixed in some strawberry syrup with some kefir, homemade almond milk and coconut extract, yum! My LO loved it too, BONUS! Next time, I’ll try banana extract instead of coconut. I can’t find the serving size………I know the whole batch is 12 servings, so would that be 1/3 cup serving? I’ve been using Konjac for thickener for nearly 2 years, now. I hope more people will realize it’s benefits! Thank you for sharing! Do you still use the stevia you write about in the recipe or are you using THM Stevia? I only have the THM Stevia and am wondering if the doonk is too much or do I need to use less? I use the THM stevia now and it is much sweeter. I’d start with a doonk and gauge from there. How long does this last in the fridge? Mine made quite a bit and I know it will take me a while to go through it! Can you freeze it? It is quite delicious, thank you for the recipe! Great idea! I will try it with sour cherries, since I cannot get a commercial sugarfree syrup in this flavour, and I love it! One suggestion: if you remove with a palette the foam that lifts to the surface when you boil the fruit, the syrup will be clearer. Hi, would love to know if I would be able to use this recipe and can it. I am harvesting raspberries and have a lot. I would love to preserve them to use throughout the year. 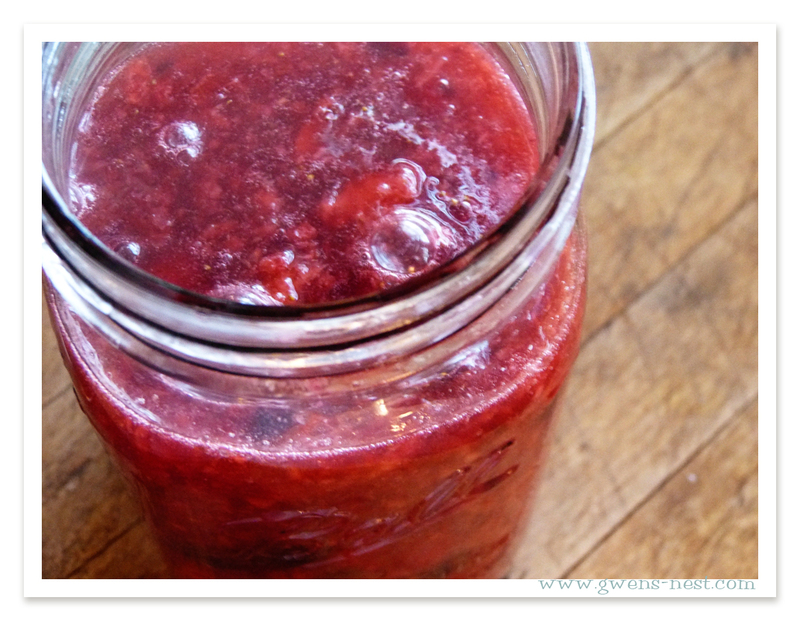 Just finished making another batch of this recipe using strawberries and rhubarb. I warm the fruit and water until fruit is at least partially thawed. Then I blend it all up. Return to stove, add my sweetener and glucci, and whisk and heat until thickened. I love having this syrup in my fridge for a quick pancake topping. Absolutely loved this! I only had a cup of raspberries so I Reduced water to same. Put in the xan gum and salt once started to boil ..put 3 drops pure leaf stevia (tasted after each drop) and then…a dab of Kerrygold butter….oh my tastebuds are in heaven. ❤ so easy and homemade! This was amazing! Thank you. Having been sugar free (among other things) for 1.5 years it’s hard to find things I can eat. Even good recipes can be hard to find. I made it with a dash of stevia and 1 Tbsp xylitol. It taste like sugar sweetened syrup. Now time for pancakes.